Our Brochure Style Boutique Website Designs are for those who may not need Online Shopping just yet, but still need a Custom Designed online presence to showcase their retail store or boutique products and information, and may want to upgrade to Ecommerce/Online Shopping at a later time. These types of sites can contain standard information about your business such as About Us, Products, Services, Directions, Brands, or Contact Info. 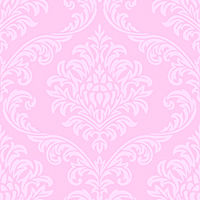 Our Custom Brochure Style Boutique Website Designs include an Initial 5 Pages designed. All Brochure/Information Style websites will be setup with a standard content management system so that you will be able to maintain, edit & add content, photos, etc yourself by logging in to your administrative panel online. 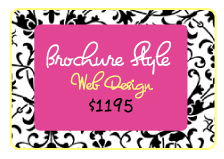 Style Boutique Web Design today! graphics and images are protected under copyright law. Poshe Pixels is a small, hip, stylish and professional, women-owned boutique web design, boutique logo design company & boutique e-commerce web design company, run by a WAHM, that specializes in creating boutique web designs and boutique e-commerce web designs that are Unique, Hip, Trendy, Modern, Girly, Feminine & Fun with a bit of flair. Our boutique website designs, boutique logo designs & boutique ecommerce websites are easy to manage, will get noticed and will reflect your personal style & vision. We specialize in Boutique Web Design Raleigh, Boutique Logo Design Raleigh, Boutique E-Commerce Web Design Raleigh, Boutique Web Design North Carolina, Boutique Logo Design North Carolina, E-Commerce Web Design Raleigh, Boutique E-Commerce Website Package Raleigh, Posh Web Design, Chic Web Design, Feminine Web Design, Girly Web Design, Girly Logo Design, Feminine Logo Design, Couture Logo Design, Couture Web Design, and more.